After the holiday season is over, there is a good chance that your home or business has filthy wall-to-wall carpets from constant foot traffic. Money is often scarce at this time of year, but you can still find affordable carpet cleaning Bentonville, AR, services. After you take down a Christmas tree and put away all of the decorations, it is time to contact a professional carpet cleaning company with knowledgeable technicians. Removing stains and sanitizing carpet fibers is a strenuous job that requires moving furniture and appliances to shampoo away debris, but strong technicians have the equipment needed to perform this task. Each type of stain requires using the right cleansers to scrub away debris without damaging carpet fibers or removing dyes. 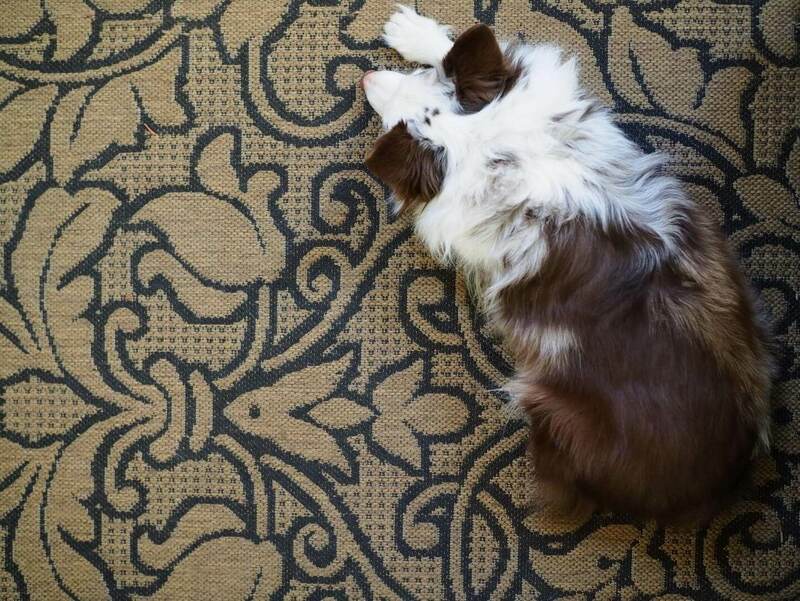 In addition to removing ugly stains from wall-to-wall carpeting, our technicians understand how to get rid of foul odors created by pet urine or spoiled milk. We must apply cleansers that lift stains from the carpet’s backing and underlying padding in order for a carpet to look its best along with smelling fresh and clean. When the stains are gone from our customer’s carpet fibers, we are ready to shampoo the entire wall-to-wall carpet by using industrial-strength machines that sanitize fibers with steam. This steam helps to lift embedded debris such as dirt particles, pet hair and pollen while also eliminating pathogens such as mold spores, bacteria and viruses. As the steam lifts dirt, the shampooing machine extracts moisture and debris immediately to prevent mildew odor in the fibers. The entire affordable carpet cleaning Bentonville, AR, services performed by NWA Restore It, Inc. requires only a few hours at our customer’s business or home. When a heavy rainstorm causes a home’s roof to leak, homeowners need our water damage restoration Bentonville, AR, company as quickly as possible. If water enters a building, then it leads to immediate problems by damaging the wooden foundation and drywall surfaces. Unless the moisture is dried efficiently, a building’s materials can begin to degrade rapidly, causing crumbling ceilings and walls. Homeowners may notice stains on the ceilings that change color because mold is beginning to grow. Mold spores inside the walls and ceilings begin to form colonies that emit additional spores that enter the ductwork, leading to poor air quality. Most homeowners’ think that it requires weeks or months for mold to cause extensive damage, but secondary problems from water damage begin within one day. When moisture enters through a damaged roof during a rainstorm, homeowners need to call our professional remediation team with training from the Institute of Inspection, Cleaning and Restoration Certification. Each type of cleaning process requires specialized processes to ensure that moisture is removed from surfaces with extraction machines, drying fans and dehumidifiers. Technicians must apply environmentally friendly cleansers and deodorizers to eliminate mold spores and prevent mildew odors. Because we have multiple technicians working for our company, it is possible for each employee to work on a different water damage problem in a home. The customers contacting us at NWA Restore It, Inc. are often traumatized by the water damage in a home and are unsure about what to do, but we are able to assist. Our water damage restoration Bentonville, AR, office staff can help with the insurance reimbursement process by completing documents and taking photographs of the problems in a home. We offer professional cleanups for emergency flooding situations or after water pipes and roofs leak water into a structure. Our company offers immediate assistance on a 24-hour basis. Call us now! Just like any other geographic location in the United States, Arkansas is susceptible to bad weather conditions. They can lead to serious damage, which requires repairs from experts with training in remediation processes. The Institute of Inspection, Cleaning and Restoration can provide certification in specialized remediation methods for residential and commercial properties to interested technicians. When water or fire damages a property, a certain type of remediation is required to return the structure to its previous condition. Technicians from our affordable restoration company Bentonville, AR, are available on an emergency basis. We can begin repairing a building as quickly as possible. Our Technicians Have Certification When a heavy rainstorm or tornado damages a building with high winds and moisture that enters its interior, fast remediation is required to restore different materials. Some of the specialty certifications necessary after a disaster include: • Water extraction from floors and walls • Suctioning moisture from fibers such as upholstery on furniture • Cleaning and restoring wall-to-wall carpeting • Drying wooden cabinets and floorboards • Preventing foul odors from mildew • Removing dangerous mold from underlying surfaces such as insulation When water damage occurs in a home or business, the remediation process should begin as soon as possible to prevent structural problems such as degraded drywall and secondary problems such as mold growth. How We Complete Restoration Services A company that specializes in making repairs after water damage occurs has the equipment to dry moisture. After arriving at a customer’s property, certified technicians assess the damage to begin a cleanup process. In many cases, there is no electrical power to operate extraction machines, drying fans and cleaning equipment. This means that technicians must use a powerful generator to operate equipment safely. It is necessary to reduce the humidity in a water-soaked building and increase its air circulation by installing fans to dry surfaces. Technicians should begin suctioning moisture from all surfaces with extraction machines. The certified technicians should clean surfaces with shampooing machines and cleansers to remove debris. Contact Us at NWA Restore It, Inc. for Water Damage Repairs Our affordable restoration company Bentonville, AR, technicians are available to remove water from commercial and residential properties. Each of our technicians is certified through the Institute of Inspection, Cleaning and Restoration. For emergency services, call NWA Restore It, Inc. now. Deep Clean Those Carpets: If the summer months were hard on your carpets or they have seen their share of spills and pet damage, you might think about treating your carpets to a deep cleaning. If you are on the hunt for affordable carpet cleaning Bentonville AR, NWA Restore It, Inc. can help get your carpets looking and smelling their best in preparation for holiday guests. Make Your Upholstery New Again: If you plan to have a full house this season, your furniture will be on display. Make sure your fabric is something you can be proud of with upholstery cleaning from NWA Restore It, Inc..
Give Your Home a Makeover: You want your home to feel safe, comfortable and inviting for everyone who visits this season. Let’s face it: Visitors cannot feel at ease in a home with an odor problem. Let us offer our mold remediation services so your home smells fresh instead of moldy. Take Care of Your New Year’s Resolution: If there is some nagging chore that you have been meaning to handle, such as dealing with water damage or sandblasting, let NWA Restore It, Inc. take care of it. Located in Northwest Arkansas for more than a decade, we offer water damage restoration and roof repair to get your home in top shape for 2016! Whatever your home needs this season, let NWA Restore It, Inc. help you take care of it. You can depend on our trained and certified professionals to handle every job efficiently and effectively. Call to schedule an appointment now! Sometimes, you walk in your front door or basement, and an unpleasant odor smacks you in the face. You check every nook and cranny, trying to detect the source of the offensive smell. You wonder if one of your pets left you a “gift” and start scrubbing your carpets and upholstery futilely. You continue the search for hidden food, which may have dropped in between the sofa cushions. Then, you open the windows after some crumbs in your oven smoke up the entire house. However, attempts to rid your house of the nasty smell continue to plague you for weeks. Extensive cleaning and use of correct antimicrobial agents: An oxidizer or enzyme can break down the organic matter on all surfaces that the smoke contacted. However, finding the right one can be challenging without the proper training and experience. Smoke is especially stubborn because it penetrates carpet, furniture, walls and ceilings. Professional odor treatment: Most homeowners cannot identify and eliminate the source of these challenging odor problems. Professionals certified through the IICRC are trained to detect and isolate the source quickly. Based on their extensive knowledge, IICRC-certified technicians learn about effective odor removal, along with the most advanced technologies and treatments. Elimination of molds and bacteria: IICRC-trained water damage restoration technicians can identify and remove the molds and bacteria, which may be the odor-offending culprits. Water damage restoration professionals also know the correct way to dry material, which can also cause bad smells. These professionals can help a home or business owner eliminate odors permanently. The IICRC-certified technicians at NWA Restore It, Inc. are experts at removing all types of odors. Besides unpleasant smoke and pet smells, we have successfully removed skunk and other rodent odors. When you have this type of problem and need immediate help, you can always count on our team. For example, we arrived promptly to help a homeowner deal with a skunk, which had sprayed throughout the house. Our trained and knowledgeable technicians completely eliminated the smells. In another case, a skunk was caught in the wall of a new home. We found the animal, removed it from the wall and eliminated the nasty scent. Our team does whatever is necessary to restore a pleasant environment in your home. Do you have an odor in your home, which you can’t tolerate another minute? Do you need mold remediation and removal, so your entire family can breathe easier again? Are you ready to zap those nasty smells with professional textile, carpet, upholstery and fabric cleaning? To schedule an appointment or request 24/7 emergency services, call NWA Restore It, Inc. now. When you send your children off to college, you hope that they are prepared for living on their own. As they’ve grown up, you’ve tried to instill all of the tools for coping with the challenges that they may face in the years ahead. With your college-age children starting an independent life in a dorm or off-campus apartment, it’s particularly important to review facts from the National Fire Protection Association (NFPA). The number of reported fires in dorms on campus has increased by 24% between 2003 and 2013. Fires are more common during the evening hours, between 5 to 11 p.m. and on weekends. Fire departments respond to an average of 11 dorm fires each day. 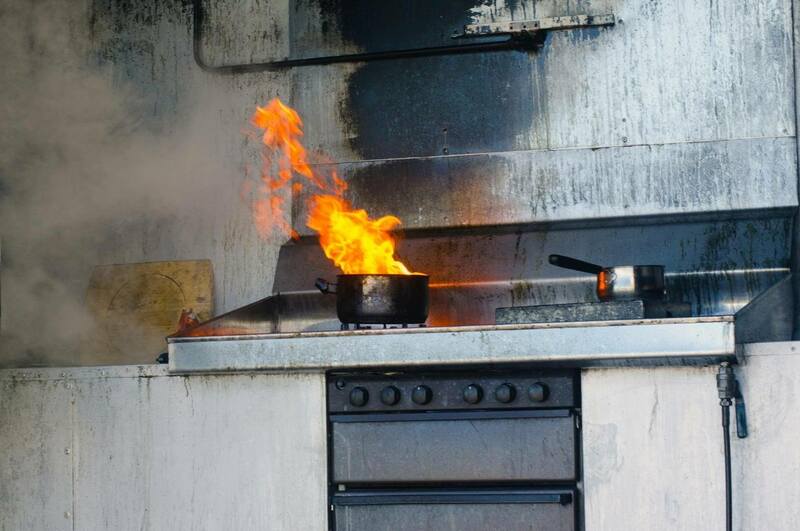 Cooking equipment is involved in 86% of reported dormitory fires. Dormitory fires cause an annual average of 1 civilian death, 32 civilian fire injuries and $14 million in direct property damage. From 2000 to 2015, 89 fires have occurred on college campuses, in Greek housing and in off-campus housing, and these fires killed 126 people. Approximately 66% of students attending school in the United States live in off-campus housing. Unfortunately, off-campus housing fires are common and can be fatal. According to The Center for Campus Fire Safety, between January 2000 to June 2015, 76 off-campus fires resulted in 107 student fatalities. These fires occurred within a 3-mile radius of campus and involved students between 18 to 25 years of age. What is the power supply to the detector (hardwire/battery or both)? Check with your local fire department for any restrictions before using a barbeque grill or fire pit. Despite all of these precautions, fires can still occur. The experts at NWA Restore It, Inc. are always available to help. Contact us for 24/7 emergency services.